Scything and grassland management courses run through flora locale last year proved very popular. 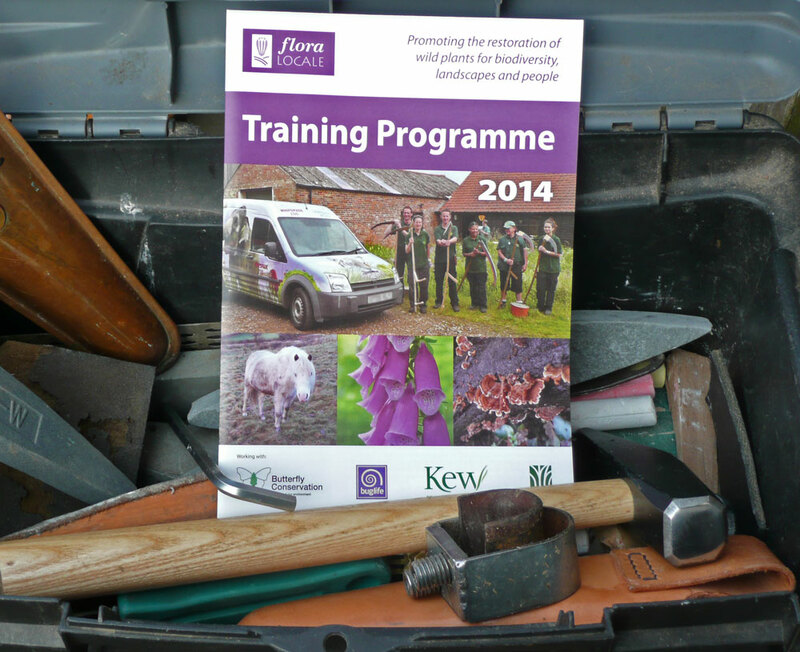 So much so that this year’s scythe courses are headline courses for flora locale’s 2014 training programme, and have been increased with both myself and Clive Leeke running flora locale scythe courses. Other scythe instructors have also reported similar increase in demand for courses through 2013. What is particularly encouraging about the flora locale courses is that they are specifically aimed at professional people who are involved in land and its management, either directly (e.g. as farmers or landowners) or as advisers (e.g. local authorities, Environment agency, wildlife trusts, landscape professionals etc). Increasing interest and adoption of the scythe as a serious tool in these circles has to be a good sign. Mark has since been working at persuading colleagues within his wildlife trust to consider adopting the scythe I have been discussing with Mark of ways to support this. What I have observed both personally and in conversation with others is that demand for training, for participation in events like the Coronation meadows is stretching capacity of the current dedicated band of disciples (not mention media appearances in film and TV !). To my mind the clear answer to this is to encourage more individuals and groups to get involved. The Somerset ‘masterclass’ course to develop skills of scythe instructors and leaders which runs each year before the scythe festival is the lynch pin of this process. I would urge anyone who has been on a scythe course before and who has since developed a reasonable competency with a scythe to consider the course for themselves, particularly so if they have the potential to foster scythe use within a local community group in their area. The self analysis of technique that comes with learning how to teach others is also one of the best ways to develop one’s own scythe skills. Attending the teaching course in itself may not be enough to make you a confident scythe instructor but will set you up to become one. You will certainly learn the skills needed to organise and lead mowing groups safely. The second element to developing scythe competency both as individuals and potential instructors is developed through networking and skill sharing. I think there is a role for more experienced instructors to support and mentor new instructors. This is something I am keen to encourage in the Eastern region through course sharing with new instructors and supporting the growth of community groups. The scythe course at Wimpole Hall which runs two weeks after the Somerset teacher’s course has fulfilled this role for a number of years providing opportunities for recently trained instructors to teach alongside experienced teachers. Finally scything, much like Tai Chi, is a discipline in which there is always room for further development and improvement of one’s technique and understanding. I personally am still seeking opportunities to learn from others, share skills and develop, and I find great pleasure and satisfaction in this process. This entry was posted in Scythe Courses, Scythe Festivals and Events. Bookmark the permalink.